Tech Teacher Tidbits: I'm a Rhode Island Blogger! I'm a Rhode Island Blogger! 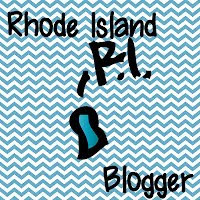 I'm linking up with Diane at Fifth in the Middle and I'm proud to say that I am a Rhode Island blogger. She has an awesome idea to organize us all by regions. I think this is fantastic because I've been ever so jealous of all the blogger meet ups I've been reading about in blogland. Everyone looks like they're having so much and making wonderful new friendships! Please consider linking up. It just seems like an excellent way to network with each other. If you decide to link up, Diane has made cute little buttons to display on your sidebars. Check out the RI one over to the right...love it! Click here to link up and thank you, Diane, for the idea and the work you put into it. Have a great weekend! I love your blog theme! Thank you for linking up and posting about it! Hope you find some great area bloggers to follow! I too grew up in Rhode Island-born in Providence but moved to Burrillville when I was 11. My parents still live there. I'm a new follower. Welcome to my blog, Bethany! I have a cousin/best friend who lives in Burrillville. I used to spend a week there every summer. There wasn't much to do but we had so much together. Heading over to your blog now. Thanks for following! Now this sounds really fun and exciting! Meeting all the bloggers is definitely a dream come true! I think the right time has come, don’t you think? I can’t imagine the expression on their faces. I bet that event was marvelous and memorable for all the bloggers. I hope you could show photos and more updates. I am also from Rhode Island! Awesome! There's a New England Teacher meet up happening in September. you should join us - so much fun!